Atmos by CallCabinet is a cloud-based call recording and quality management software that offers a scalable solution for Telco, Internet Telephony Service Providers (ITSP) and businesses of all sizes. 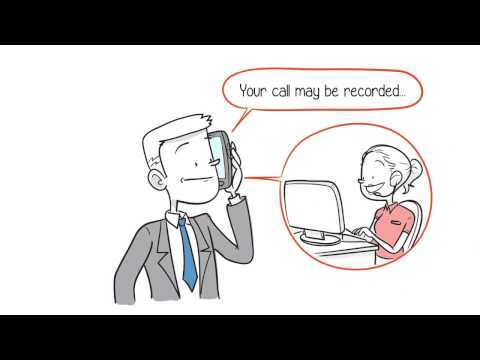 Atmos’ technology allows users to record calls, then store them in a secure and compliant environment. To ensure that all calls are stored and managed securely, Atmos supports 256bit encryption and offers Microsoft Azure Cloud Storage. Atmos allows users to retrieve calls easily via an HTML5 portal. The HTML5 interface provides users with central and flexible access to recorded calls. As a web-based application, Atmos allows users to access calls from any location, on any internet-enabled device. In addition to call recording and call storage management, Atmos facilitates agent evaluation with agent assessment tools. Further features supported by Atmos include multiple time zones and multiple recording locations. Atmos’ searching and filtering functionality allows users to search, sort and locate calls simply and effectively. Atmos also supports integration with most telephony systems as well as Microsoft Skype for Business, Asterisk, and Office 365. The software is quite easy to understand and use. When I train new staff to use the software they have no difficulty in using the application. At times I feel that the options to filter on when you search for calls are a bit limited and with more filter options it might take less time to trace calls. Whilst for Skype and some SIP systems just require a software download for some of the legacy systems it took some time to get the integration right. Cost effective solution and better than the other products I have tried.Cost effected and scaled with my business. Also a simple interface and easy to use. I can easily evaluate my agents performance. Cost effected and scaled with my business. Also a simple interface and easy to use. I can easily evaluate my agents performance. No complaints yet and we've been using the software for around 10 months. We're looking forward to the new version going live in a week. We have been using Atmos for a few months, I am amazed at what we get for our money, we pay less for a top-notch call recording solution, we were quoted more by everyone else we spoke to. I really dont have any cons for this product, if anything I would like to see some text to speech analytics . My experience will CallCabinet and its technology was fantastic. Fully access to our recording and the ability to start understand some facts of our businessThe CallCabinet software was fantastic.The system delivered on every promise.The cost of the system was significantly less than any other product in the market and yet its delivery and functionality was far a head of anything we have seen and demonstrated. The CallCabinet software was fantastic.The system delivered on every promise.The cost of the system was significantly less than any other product in the market and yet its delivery and functionality was far a head of anything we have seen and demonstrated. There is nothing negative that we found about the CallCabinet systems,in fact it is so far a head of the rest of the market. Contact CallCabinet directly for detailed pricing information. How does Atmos compare with other Communications apps? Simplicity of use yet very rich in functionality to make life easier. The quality control aspects are excellent. Great value . The simplicity and user friendliness of the system made it easy for us to navigate around and it further allowed us to see the additional value as a business we could get out of our recording.The upfront new dash board gave us immediate and valuable information. For our use we have not yet ran into anything I would change. I'm sure future versions will keep adding quality functionality before I realize we need it. Given the importance of recording calls in our environment,there is nothing negative to say.The software and the value add it gives the user makes it so far ahead of any of its competitors. Users can record all calls with Atmos’ enhanced voice recording technology and evaluate agents with quality assurance tools. Atmos allows users to store and manage calls securely and compliantly with 256bit encryption and Microsoft Azure cloud storage. Users have simple and central access to recordings through the Atmos HTML5 portal. Operating as a web-based application, Atmos gives users the flexibility to manage calls and agent evaluations on any internet-enabled device. Atmos’ search and filter functionality enables users to search, sort and locate calls and recordings conveniently. Below are some frequently asked questions for Atmos. Q. What type of pricing plans does Atmos offer? Q. Who are the typical users of Atmos? Q. What languages does Atmos support? Q. Does Atmos support mobile devices? Q. Does Atmos offer an API? No, Atmos does not have an API available. Q. What other apps does Atmos integrate with? Q. What level of support does Atmos offer?